As I age, I experience our Post-Truth, Alternative Fact-laden world as being increasingly dreary. We have entered the gloom depicted in the novel Nineteen Eighty-Four. I hanker for truth – it shines, coruscates, thrills, beckons. The book Let there be Science by Hutchings and McLeish is a lucent corrective to the deepening darkness. It sparkles with truth. This is a delightful book. There are many illustrative stories from the history of science and they are fascinating. Most of the stories pertain to physics. They are presented in such a way that even this biologist gets a sense of the issues at stake. This book is a marvellous antidote to prevailing corruptions of history that fail to acknowledge biblical faith as the source of so much that is of real value in our civilisation. Including science. The book gets underway with a survey of the ways science is perceived. It then travels back in history to see how people have raised questions about the world around them. Here we find that natural philosophy, ‘the love of wisdom about natural things’ (31) is very old indeed, and is inherent to biblical thought and to the mind-set of those who have assimilated biblical thought patterns. Chapter 3 discusses the interconnectedness of things. Who would have thought that the great astronomer Johannes Kepler reflected on the shapes of pomegranate seeds and that the mathematics he worked out were later used in the design of computers? Remarkably, we are gifted with the ability to discern nature’s recurring patterns, even in phenomena where we would never expect to find them. Chapter 4 is a whistle-stop tour through the last two hundred years of physics. It is racy, indeed breath-taking, and describes how surprising results have induced scientists to revise or discard even the most cherished of models. Theories change in the face of new facts. And importantly, Christian faith requires that same responsiveness to evidence. People modify their values and aspirations in the light of new data. Our provisional models or understandings of the world must change when confronted with unexpected realities – and the radical changes in the lives of Saul of Tarsus or CS Lewis (for example) are outstanding examples of that. But scientific understandings are incomplete – often frustratingly so. The authors describe how quantum mechanics and general relativity are disconnected and (so far) resist attempts at unification into one overarching scheme (100-103). Scientists respond to the loose ends (or downright contradictions) in their models with a shared, obsessive conviction that answers must be waiting to be found. Remarkably this deep intuition – scientific faith if you like – has its counterpart in biblical theology. Our experience of reality is often painful. Surely things were not supposed to be like this! Underlying our questioning is the presupposition that creaturely suffering will one day be addressed. God will expunge evil and suffering from his world. We are reminded of St Paul’s hope-filled assertion that what we suffer now cannot be compared with the glory that will follow (Rom 8:18; 105). The suffering-to-glory motif is repeated by most of the New Testament writers (eg Mark 8: 31, 38 and parallels; Lk 24:26; Heb 2:9; 1 Peter, repeatedly). Scientific and Christian believers alike intuit that their painful experiences of incompleteness will one day be lifted from them. Needless to say, this chapter is uplifting. The motivation to keep submitting to the disciplines of scientific study finds its parallel in the theological outlook that looks to the day when we shall know as we are known (1Cor 13:12; 146). We seem to be buffeted by happenstance. When assaulted by accident, we may wonder whether there is any given order to our lives. Our helpful physicists patiently outline the nature of the ‘chance’ events that constitute our world. Chaotic systems (such as the weather) appear to be random, because we cannot specify their conditions at any starting point, but they are inherently ordered. Molecules in fluids are assumed to act randomly, because we can’t hope to describe what they are doing, but are also ordered, and in aggregate are described accurately by statistical mechanics. Quantum particles, on the other hand, are inherently random but even here, the systems of which they are composed can be described, and their behaviour predicted, by quantum mechanics (113-118). Repeatedly, apparent disorder at the micro level emerges as order at the macro. The apparent randomness of Brownian motion underlies the exquisite order of living cells. The implication for us is that the chanciness of human history, or of our own ephemeral personal histories, represents a confusing and unpredictable microcosm out of which must arise order, direction and ultimate fulfilment. Some statements might be questioned – our authors would approve of that! Does the Bible cohere with science in the idea that ‘the universe was once perfect and has fallen’ (170-171)? The historical sciences have provided what seems to be a seamless narrative in which entropy has always ruled, animals have always been subject to predation and disease, and humans have always been territorial and thus selfish. Might we not rather see this physical universe as a provisional – but still marvellous – stage of God’s overarching project in which current reality will be transformed into something unprecedented and new? That God’s work in Jesus does not merely restore a former state (172), but transforms to radical newness? Biblical values should inspire our science. Despite the heart-ache often involved, science should be borne along by love (chapter 8). The take-home message is clear. The practice of science flows naturally from the Christian view of reality (10, 14, 60). The Christian outlook on the world is the bedrock for doing science (59). 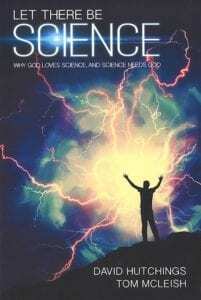 Christians should celebrate science, as the authors of this book do. Celebration does not mean that we naively see science as the route to wealth and prestige, or the answer to society’s problems, or as the way of discovering truth about personal being – either our own or God’s (17-18, 185-188). Rather, our celebration comes about because our capacity to investigate the world arises from our God-given faculties (31, 57, 59, 172), and because our restless scientific questioning and curiosity are stimulated by a biblically-informed mind-set. And scientific activity is enriched by the conviction that the physical world is the stage on which God’s purposes will be fulfilled. Science cannot include teleology in its purview – but biblical teleology encompasses science.